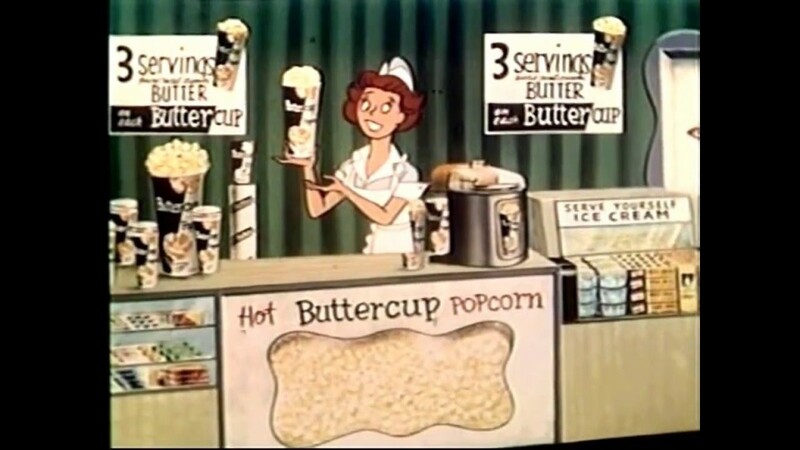 Add sweet cream butter to hot popcorn mix it up, wrap it up, buttercup is born.It’s delicious, so nutritious, it’s a taste delight It’s so munchy, crisp and crunchy, you’ll enjoy each bite. Eat Butter drenched Buttercup, popcorn at its best Served in a king sized cup. It beats all the rest. Okay, anybody else remember that little ditty? It takes me back to the 50’s and 60’going to the drive-in movie with my dad, mom and two brothers. It meant that intermission had started and time for brother, Denny and me to race to the snack bar and load up on food and refreshments before the feature movie started. 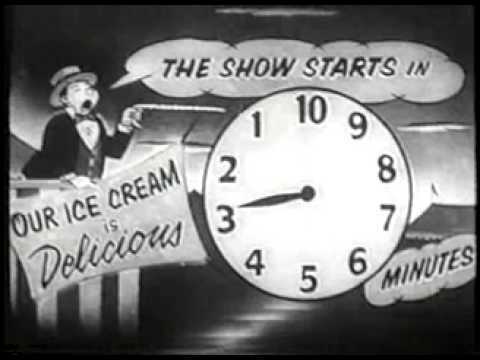 We only had ten minutes and could watch the time ticking away on the big outdoor screen as they ran a film of a clock counting backwards to zero and showtime. Besides Buttercup popcorn, there were hot dogs or barbeque beef sandwiches served in a tin foil type of wrapper. There was some god-awful chocolate drink in a can called “Toddy” which I only tried once. There were all kinds of ice cream treats, candy and soda. Plus if the mosquitoes were bad you could buy a PIC insect repellent coil. It looked like a small burner on an electric stove. It came in a metal tray which you’d set on the car dashboard and light with a match. Little wisps of purfumey smoke would result..so bad it made us gag. It too was a one-time experiment. I don’t remember if it actually kept the bugs away or not. I remember we’d have to do a balancing act trying to carry food and drinks for the whole family back to the car on those flimsy cardboard trays hoping we’d get there before the outdoor lights were turned off and we’d be lost forever amid a sea of automobiles. When the Sioux Drive-In opened South of Brookings in the early 50’s my dad and mom just loved the novelty of it and we hardly ever missed a show. The theater gave out movie schedules for each month during the summer and mom kept it scotch taped to the kitchen cabinet so we could plan which ones we were going to see. We’d arrive early to get a good spot..hang the speaker on the window and people-watch until the previews began at dusk. There were rest rooms at the snack bar building but mom always brought along an empty Folgers coffee can for us boys to use so we wouldn’t be roaming around in the dark or have to miss any of Ma and Pa Kettle or Francis the Talking Mule movies. As entertaining as it was, though, it was hard sometimes for us to stay awake crowded in the back seat and in a rare gesture of brotherly love, there was usually no objection if one laid his head on the other’s shoulder. 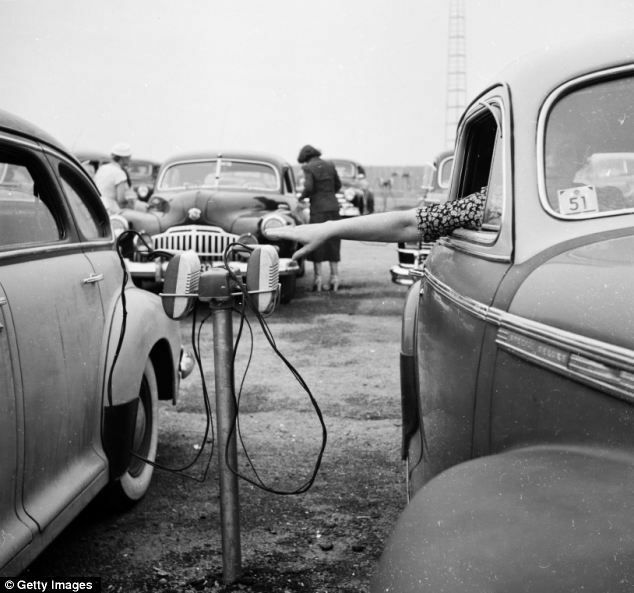 South Dakota once had 31 drive-in theaters. At last count there were six left. There are lots of reasons for their demise, of course. Back in their heyday, there was no such thing as daylight saving time meaning dusk occurred around 8:30 in the summer months. But today, if there’s a double feature it’s two in the morning before the show’s over. Too late for most working stiffs and those of us retired folks whose eyelids start to sag at the stroke of 9. 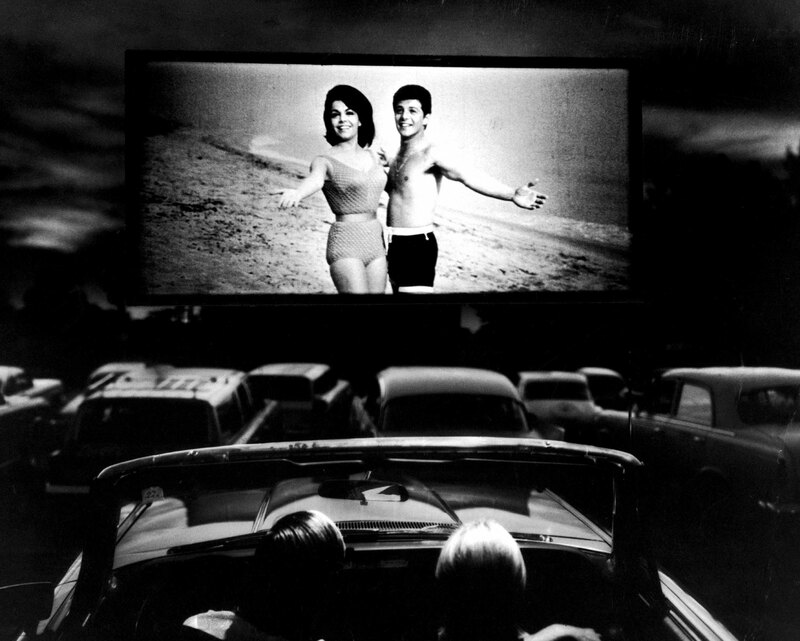 Back in the 50’s and 60’s, people who went to the Drive-In did so in a CAR. There were rows of gravel humps at varying degrees of slopeiness from front to back on which you’d pull the front wheels for a clear view of the screen then grab the speaker and hook it onto the window. But as Linda and I discovered while checking out the Verne Drive-In just outside Luverne some time ago, most people now drive high profile pick-ups, vans and SUVs. Theater managers plead over the loud speaker for patrons in big vehicles to park toward the rear so as not to block other’s view, but if you’re in a Prius or little Camaro convertible, you’ll get lost in a canyon of Caravans, Suburbans and Ford F250’s. Also, the few remaining Drive-In theaters have long since abandoned the idea of providing speakers on poles. In part, I suppose, because they became collector’s items for thieves or got destroyed by cars snagging the cord with their bumper..back when cars still had bumpers. Instead, audio is transmitted over an FM frequency you can pick up on your radio. Just make sure your battery is capable of dealing with the 4 hour drain. The nice thing about speaker poles is they used to keep vehicles properly spaced apart. Now, it’s sort of like festival seating at a rock concert with ugly stares or a verbal rebuke coming from the guy next to you if you park too close. I see the new Mission Impossible movie is coming to the Verne Drive-in. Maybe we’ll try it again and make sure to leave early enough to get a spot on the front row. I’m thinking about even throwing an empty coffee can in the car for old time’s sake..but Linda will likely say no. I also have similar memories. We girls went in jammies with our pillows and I doubt we ever saw the end of a movie! My teen memories are a bit different however! Nice blog Doug. Always enjoy a trip back to the past. Memorable drive-in movie for me was “A Hard Days Night” (the Beatles). Went w/ my cousins for their birthday at the Sioux in Brkgs. My poor aunt had to put up w/ carload of pre-teens, probably screaming ones ! I can remember Mom and Dad letting me go to one of the all night drive-in movies in Brookings. I was not spared from the work the next day. My last drive-in movie was a Friday The 13th movie.I remember driving home in a thunderstorm with my cousin.We couldnt wait to get back to the house. How many friends did you have in the trunk of your car before you drove into the drive in ? After the “guys in the trunk” worked once for our high school group in Madison SD, the ticket person would always say “$1 each for you two in the car and for your three friends in the trunk…$5 please” with a big smile from the booth! Great fun in the 60’s!